The great chef’s life in Delhi. Everything was almost lost trying to pay for Papa’s medical bills when he fell ill. The land had to be pawned. 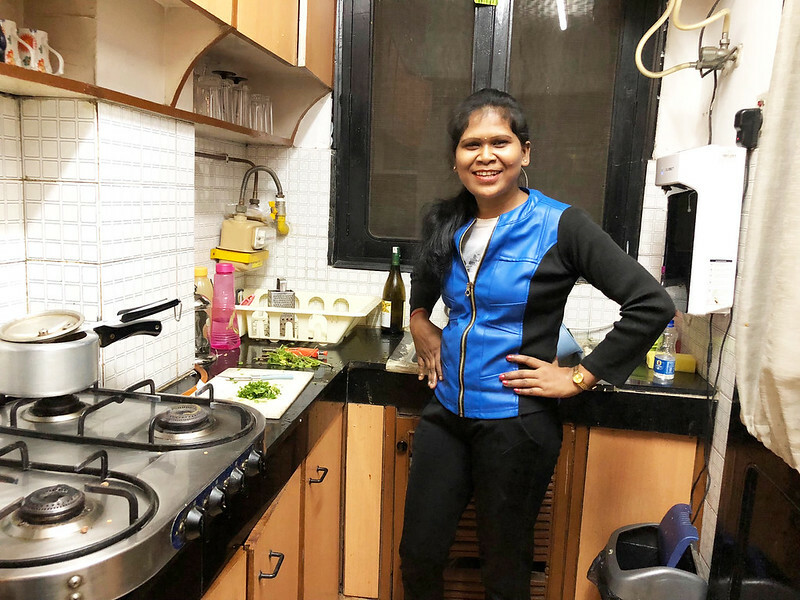 Sangeeta, the third of four sisters, then left Turbul, her village near Ranchi in Jharkhand, and came to Delhi where she built a career as a cook in affluent households. She went on to earn enough money to get back the family’s land. 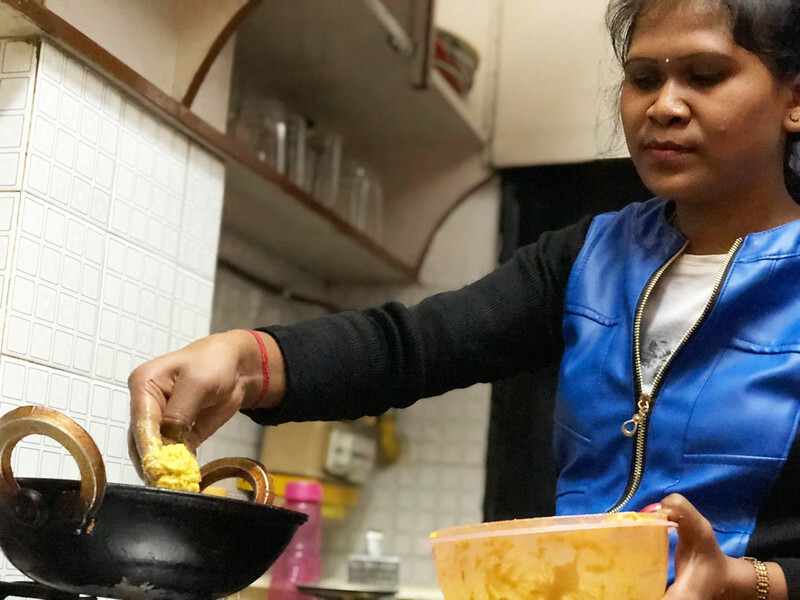 “There was a time when we would go to other houses in the village for a bowl of rice but now other people of the village come to ask us for rice,” she says. 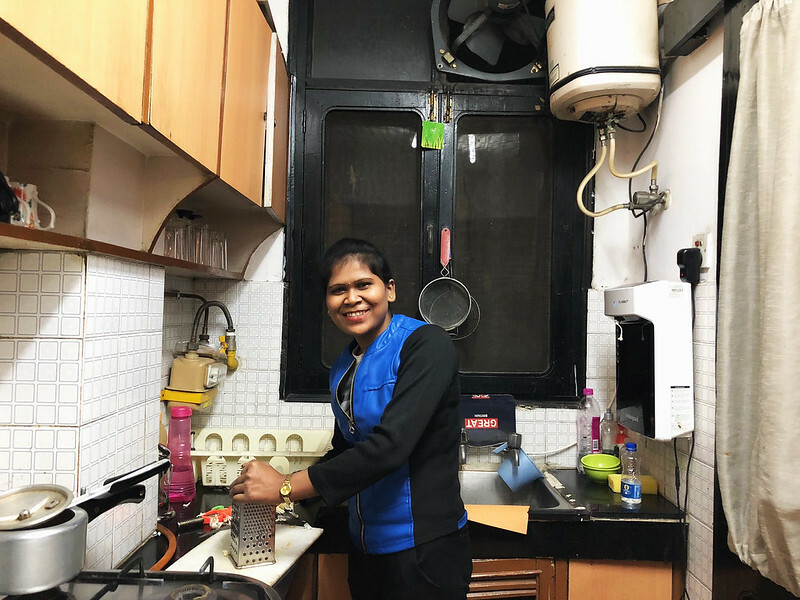 The Delhi Walla is hanging out with Sangeeta in a tony apartment in Uday Park. She works in the kitchen. 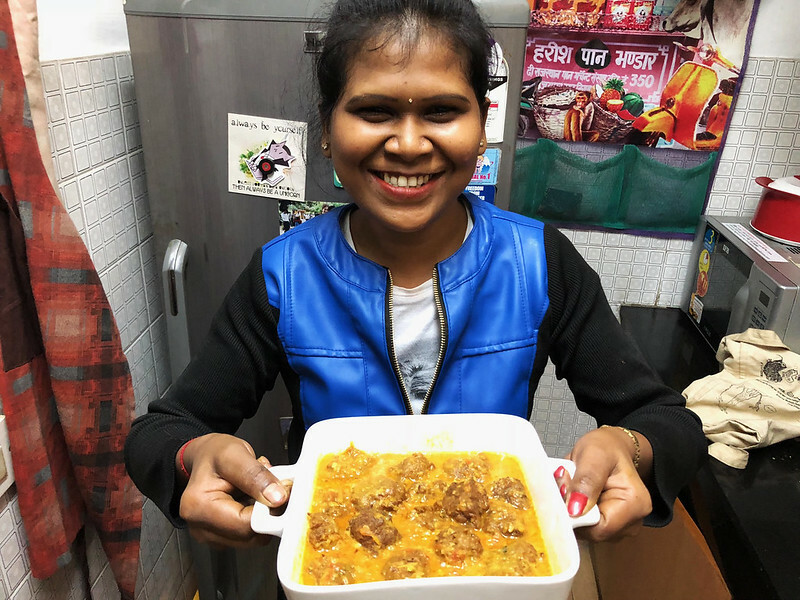 Sangeeta has her home in the same building. She shares it with Prayag, her husband, a driver. “We had a love marriage,” she says. 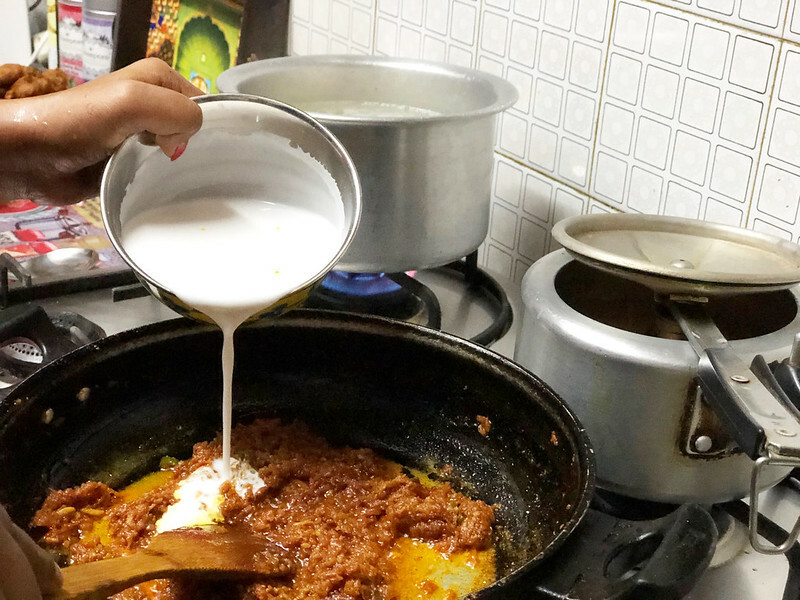 Having started as a domestic cook 12 years ago, Sangeeta can rustle up a number of homely dishes. How will she do that? Well, Sangeeta has a trick up her sleeves. Check out the recipe. Peel and grate lauki. 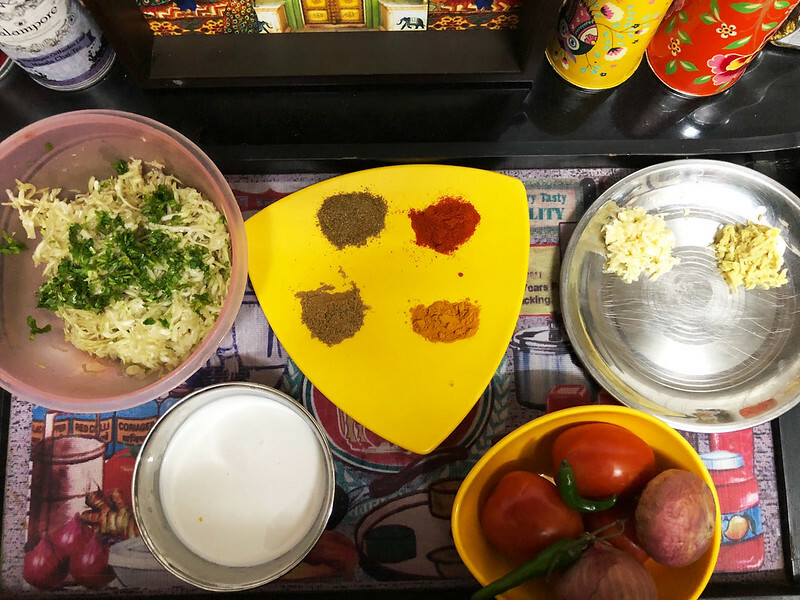 Mix it well in a bowl with maida, spices and some coriander leaves. Divide the mixture into a dozen or more portions and roll each into a small ball. Heat oil in a frying pan over a medium flame. When hot, add 3-4 balls at a time and deep-fry. When done, place them on a tissue paper to drain off the excess oil. 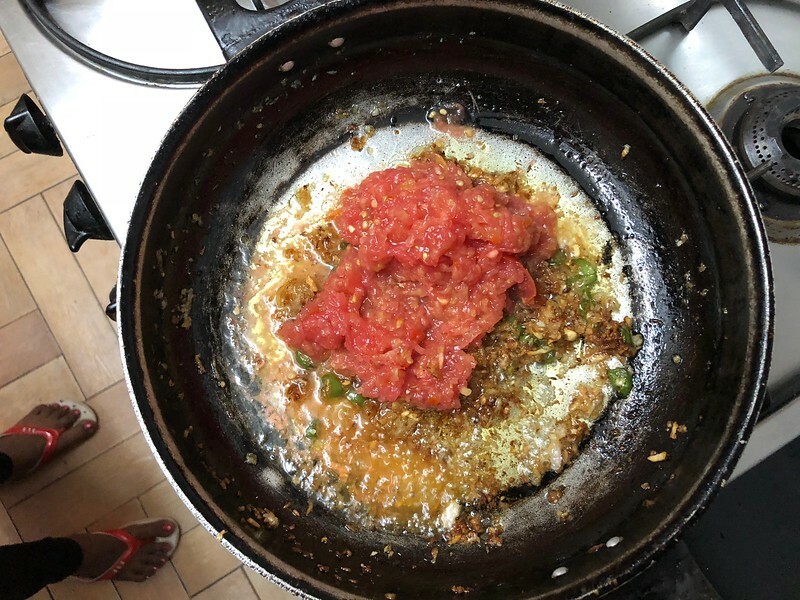 Mince tomatoes and onions separately in an electric grinder. Heat one large spoon of oil in a pan over a medium flame. Add cumin seeds, and when they begin to crackle, add chopped ginger, garlic and green chillies. Fry them for a bit and then add minced onions. Keep stirring until the mixture turns brown. 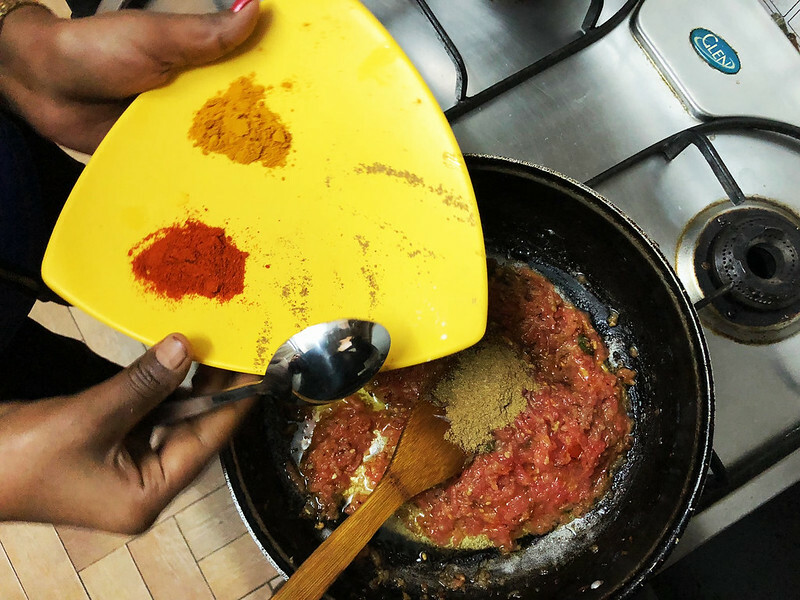 Add tomato puree and the remaining spices, and keep stirring until the oil starts separating from the mixture. Now add coconut milk. Simmer for five minutes. Turn off the flame. 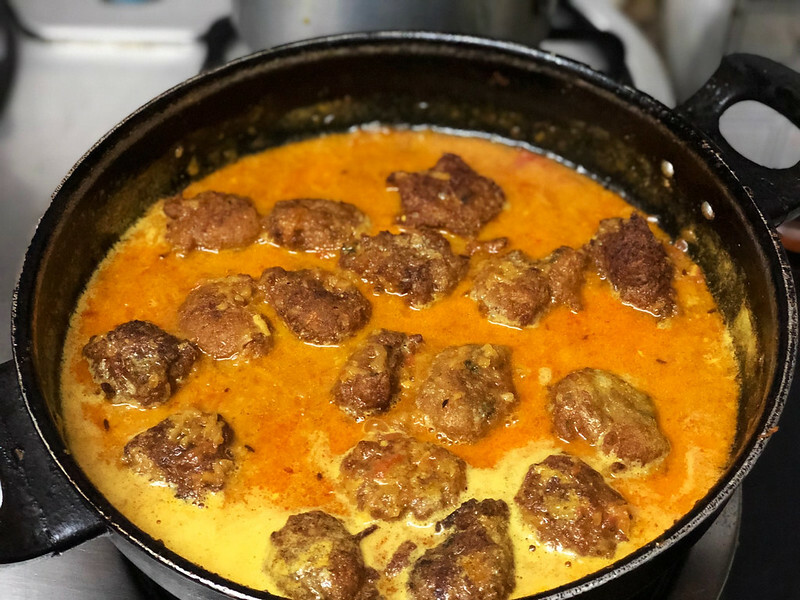 Add the kofta and cover the pan with a lid for five minutes. Serve with rice.